Singer, saxophonist, percussionist, writer, composer, producer, promoter and music agent. Started playing guitar at the age of twelve. At sixteen was doing the solo pub circuit in the Kwazulu Natal area. Moved to Johannesburg and continued paying the solo artist dues. 1982 started playing the saxophone. 1985 he joined the Johnny Fourie Band as a singer and stepped into the jazz arena that he had been weaned on since birth. The same year he formed Adverse Edition with Sean Fourie, Chris Bekker and Ray Boshoff. 1988 went to live in London and Amsterdam, as well as travelled Europe for two years. Performed with Gloria Gaynor in Holland in her hey-day. 1990 returned to South Africa and recorded and toured with Wendy Oldfield. The same year he moved to Cape Town. 1991 formed Wired to the Floor with Kevin Gibson, Paul Hanmer and James Scholfield. The same year released "Art and the Dollar". Went to Swaziland to perform with Eric Clapton, Joan Armatrading and Jonathan Butler as well as opening act for Paul Simon for the "Born at the right time" tour. Wired to the Floor became Marc/Alex backing band with Gavin as musical director for the band. Toured with Mark/Alex for 18 months. Gave up the brothers to concentrate on Wired to the Floor. Toured around the country extensively for the following two years. 1993 returned to Johannesburg and the members went their separate ways. Released the Gavin Minter debut album with local and international interest and acclaim. No 1 hit with "My Cheri Amour" and "If we had the Time"
Went back and forth to the UK and Europe for work and inspiration. Gavin Minter debut album was nominated for an Artes award and was the first time Gavin was in the producer's chair. The same year he started writing his un-reliable memoirs which eventually went down with his soprano saxophone on a cruise liner, 100 miles of the Somalian coast. 1995 spent the year touring the African East Coast up to Europe and ended up in New York for a year. Played with Cobi Macerca an American R&B recording artist as well as ran his own band in Manhattan. Spent the year hanging out in all the jazz haunts, both the established ones and the more cutting edge - off the path venues. 1997 recorded and produced "Second time around" standards album. As Don Albert wrote in his crit " this is the best male vocal jazz album ever to be released by a South African artist"
Played clubs and functions for the next two years and formed top club/house band The Soulution. Played live with Luther Vandross's band as well as sang "My Cheri Amour" live with Stevie Wonder. 1999 joined The Green Dolphin as entertainment manager. Same year he performed for Nelson Mandela at his going away luncheon for Tynhuis. 1999 Started doing promotions and in-house productions for the Green Dolphin. Gavin is asked to judge regional finals for the Old Mutual Jazz Into The Future competition. 2000 Gavin does a lecture tour on music and jazz around the country, for Old Mutual Jazz Encounters. 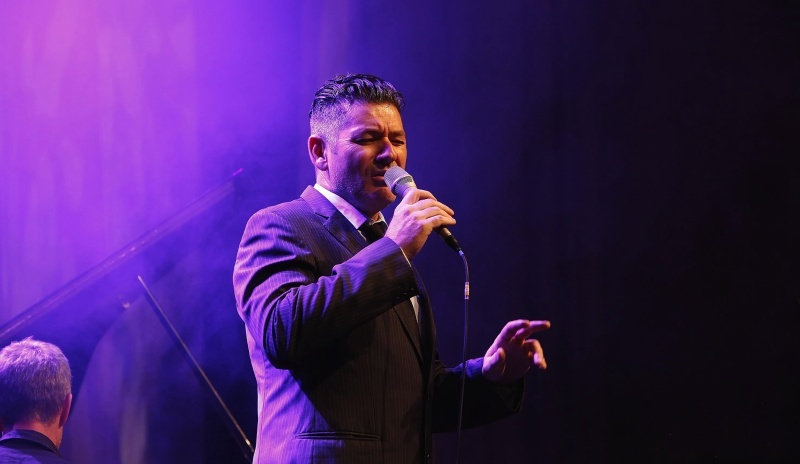 Performs at Davidoff Jazz Vocal Festival under his name and the Cape Town Jazz Orchestra. February 2001 he steps into the producers chair again to produce "Breakfast Included's" debut album. 2003 February, Gavin produces Russ Nerwich's debut album "Above so Below" and June, Andrew Lilley's Album "Ukuvuyo"
Gavin does lectures on jazz and music for Standard Bank Jazz Festival 2002 / 2003 and again in 2004. 2004, Gavin joins Junction 021 Big Band as lead singer and performs at Kirstenbosch the same year. 2005 Performs at Kirstenbosch showcasing all his original compositions. 2005 Performs with the Heritage Big Band at Cape Town City Hall alongside Winston Mankunku, Marcus Wyatt, Errol Dyers and Sylvia Mdunyelwa. 2005 - Launches Johnnie Walker Gold Label and performs with the Stockholm Jazz Orchestra at three different concerts. 2005 Gavin produces Amanda Tiffin's debut album. November 2005 performs on Cell C Sounds of the City with Cape Jazz All Stars alongside Winston Mankunku, Errol Dyers and Robbie Jansen. Joins "Strait and Narro" as their percussionist. 2006 Gavin recorded an album with the prestigious Swedish Big Band, The Stockholm Jazz Orchestra [one of the best Big Bands in Europe]. 2006 � Gavin starts getting more involved as a professional percussionist. July 2006 � Performs on Levi's Vintage Sundays with original band. 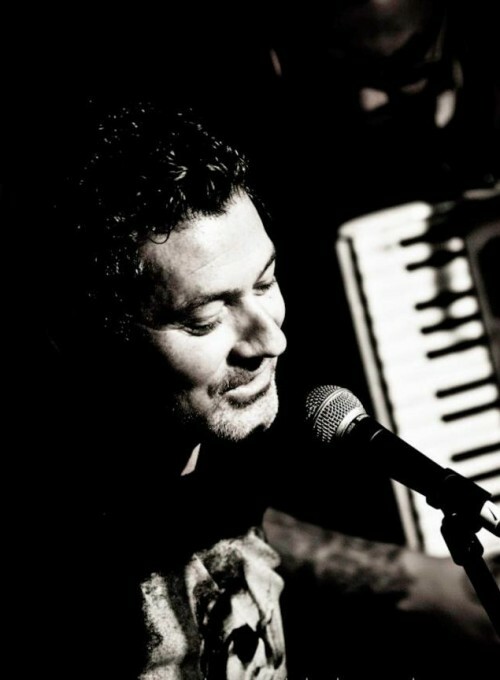 Also plays alongside Arno Carstens, Robin Auld, Louise Carver and many more. 2007 performs alongside [Grammy award winner] Shawn Phillips at Kirstenbosch. June 2007 Performs on Levi�s Vintage Sundays � Green Dolphin with original band, and alongside Arno Carstens and Albert Frost. July performs with Strait and Narro, Tumi, Amanda Tiffin and Tina Schouw at Levi's Vintage Sundays � West End. Finishes his 6th Album "My Return to Paradise"
Forced Sabbatical for 5 months!